Dr.Vivek Vij has performed more than 500 liver transplants with minimum complications. 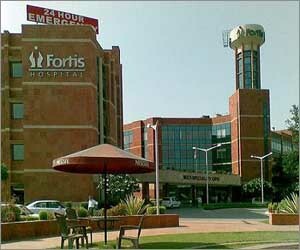 He is heading the Fortis Liver Transplant team with cumulative experience of more than 2000 liver transplants. This includes both deceased donor and living donor liver transplants including paediatric cases. As one of the pioneers in India for Liver transplant, he has also performed combined liver kidney and dual transplants as one of the firsts in India. He is credited for successfully establishing two centers for liver transplant. His last 10 years have been spent on continuous improvement in the results. Last 350 major hepatectomies were performed without blood transfusion and bile leak. His results are at par with best of the centers in the world. With aim of being creating a world class center for liver transplant, he has extended his surgical expertise to SIDH (Small incision donor hepatectomy), LADH (Laparoscopic assisted donor hepatectomy). Small incision donor hepatectomies are of significant cosmetic and emotional benefit to the donors. Further quest is to explore the role of Robotics in donor hepatectomy and other hepatectomies. In year 2006, he was the only candidate from India to be selected in prestigious Roche Preceptorship Program from Alabama, USA. Significant publications and presentations both national and international are credited to his name. He has published in top indexed journal for transplantation (American Journal of Transplantation, Liver Transplantation) about his work in liver transplant. He has performed whole range of advanced GI surgical procedures including Whipple's pancreaticoduodenectomy to colonic interposition in corrosive injuries. He has also performed more than 500 non-transplant liver resections including radical cholecystectomies and segmental liver resections. With special interest GI cancers, he believes in providing holistic approach for treating patients. Pancreaticoduodenectomy and biliary injuries specially interest him as a gastro surgeon. Other than surgical experience, he has great interest in academics and writing articles in international journals and presentations in international meetings.